We are in the 21st Century aka the online era. 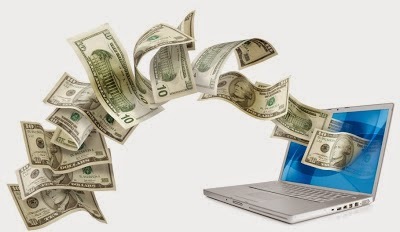 There are multiple ways that we can tap on the internet world to generate multiple online income streams. Yes, I treat stock investment as one of the online method as we can buy/sell with just a few clicks in our laptop/mobile devices. As part of my "Top x List" blog series, today, I would like to share a few online income stream sources that I am aware of. I don't claim to be pro in any of these fields, far from it actually but I do have some beginner experience with some of these methods. Also, I am avoiding using the word "Passive" as I am of the view that there is nothing passive about most of these methods, there are still work to be done before we can really gain from it. 1. Stock Investing - This is where most of the readers of this blog are familiar with (or interested to get familiar with). Of course, this method needs ready capital/fund (war chest) in order to take advantage of the opportunities. I classified ETFs, REITs, Mutual Fund investing under this category too. avenue here (on top of stock trading). In future, I might look into the Forex Trading but don't have interest in Commodities trading at all. 3. Options/Binary Options Trading - A more complex securities for more seasoned investors. a. Sell your skills online - We all have our own set of skills (like writing, website design etc..), there are platform that allow you to earn some side income by providing your skills. For example, Fiverr or Freelancer. c. Sell other people's products/services - This is where the Affiliate Marketing and Online Advertisement come into picture. Some main players to go to are Google's AdSense, Amazon, Linkshare and Commission Junction. Can you think of other online income streams?